I love yard sales. During the summer, I go to them every week, and it's kind of rare that during those weekly forays that I don't buy a cookbook. Only ... that can end up being a LOT of cookbooks. 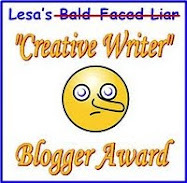 In fact, my office is literally littered with them. 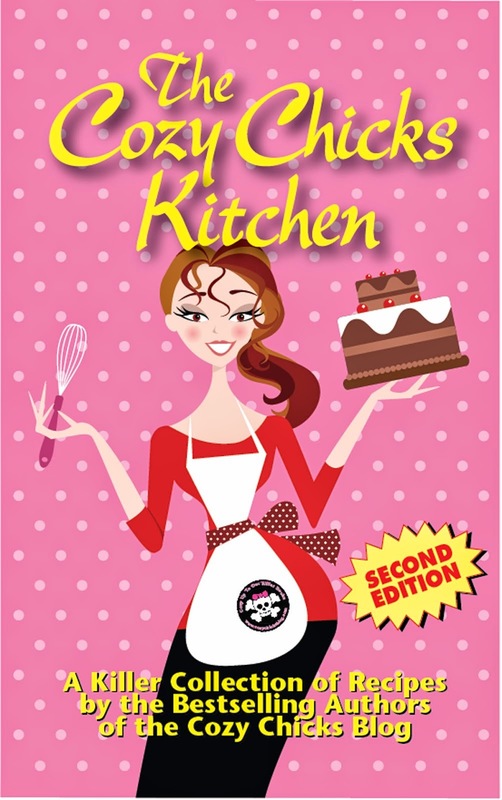 As I type this, there are 19 cookbooks surrounding my desk, but I've got more sitting in my porch. I've done through every one of them at least once and ALL of them have tabs sticking out of them to mark recipes I'd like to try. I don't think there are enough days in the year for me to attempt making all these recipes. 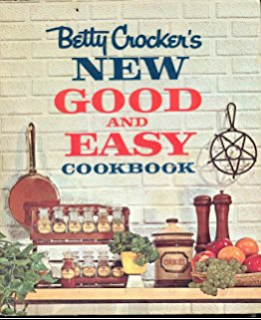 Betty Crocker's Best of Baking has 9 tabs sticking out of it. 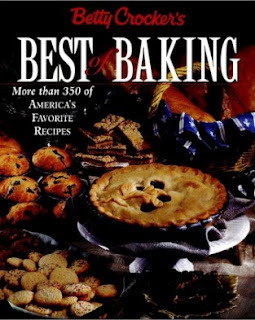 It's such a great comprehensive baking book (especially their section on making bread, which fascinates and terrifies me (I had a bad yeast experience with a homemade pizza some years back)), that I know that one's a keeper. I have good intentions and I do sometimes give them away (Hi Amy and Pam!). 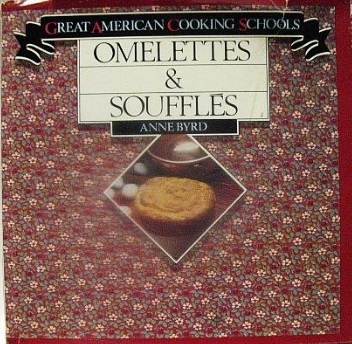 I also collect vintage cookbooklets and this summer was a bumper year for them. Today I'm starting a giveaway on my Facebook group and it'll continue until their gone (although there may be a hiatus for the holidays). 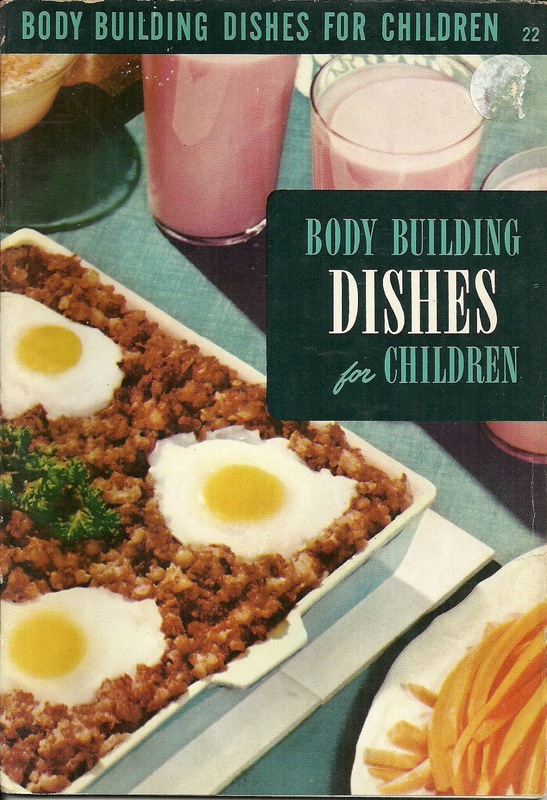 Body Building Dishes for Children. Now there's a title. They're talking food, but I keep picturing little kids lifting weights. I usually pick cookbooks that have beautiful photography (and those vintage cookbooklets don't come under that category. They were made in an age when food styling was in its infancy, and color photos were muddy and unappealing. 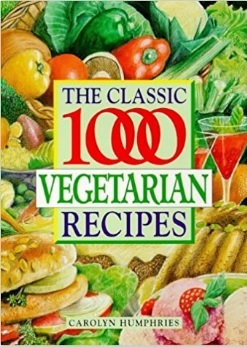 The Classic 1000 Vegetarian Recipes. If I didn't like pork and chicken so much, I would be a vegetarian. (If I had to kill animals to eat them, I would definitely be a vegetarian)./What a great comprehensive cookbook. (Another keeper.) It's a shame there are only used copies available because anyone who truly loves vegetables would love this book. 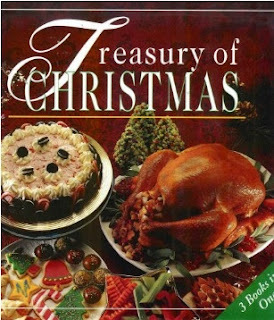 Treasury of Christmas. I'm a sucker for holiday books, and have at least 20+ of them that I drag out during November and December--just to get in the holiday spirit. I haven't decided if this is a keeper, but it's a very nice book. Betty Crocker's NEW Good and Easy Cookbook is definitely not new, because the very week after I bought this edition, I found an even NEWER (like 20 years newer) edition. The new one is very nice and is pretty much up-to-date with beautiful photography and the kinds of recipes you see today, but there's a lot more charm in the old one. If I had to keep one of them, it would definitely be the one pictured above. Great American Cooking Schools Omelettes & Souffles This is a charming little cookbook and I love omelettes, but souffles...not so much. I'm thinking it deserves a home where it will be cherished and used. 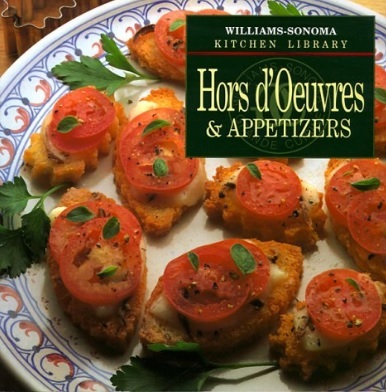 I must have at least 10 or more books on Hors d'Oeuvres & Appetizers. Do I really need another one, even if it is from Williams-Sonoma and have gorgeous photography? Hmmm. Those are just a few. 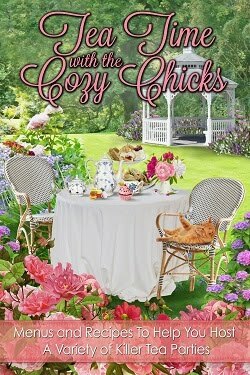 Do any of these titles make you want to read them? P.S. If you want to see what I got the entire summer, check out my Yard Sale Pinterest page!